There are many support options available to ensure that any student who wants to attend Hocking College can. Here are just a few of the application support options available to Hocking College applicants. Looking for an economical option to obtain the first two years of a Bachelor's Degree? 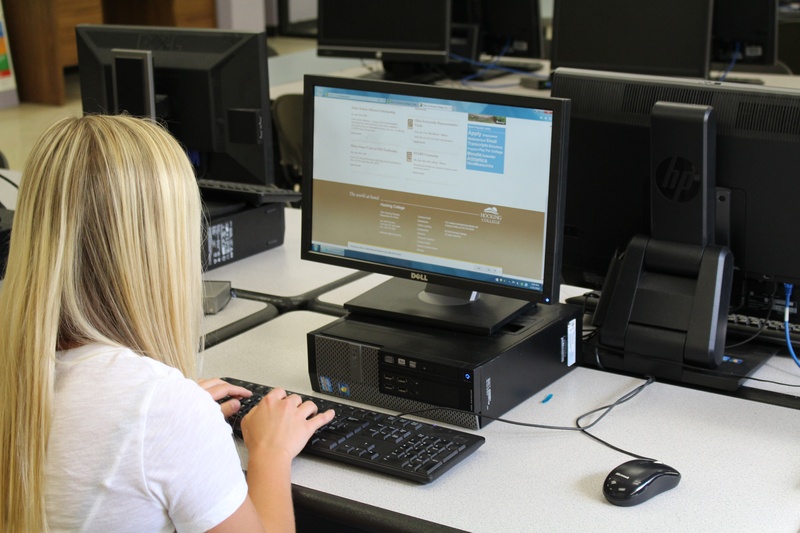 Many students choose to attend Hocking to obtain their basic requirements for a traditional four-year degree, and then transfer on to the college of their choice. The Ohio Transfer Module is a set of courses that fulfills general education requirements for all Ohio public colleges. Would you like to complete your Associate's Degree before moving on? The Associate of Arts & Associate of Science degrees are also specifically designed to allow for the transfer and application of all credits earned at Hocking College to the bachelor's degree requirements of any Ohio four-year college or university. Looking for High School Credit? Looking for the University Center? If you have attended another college or university, and would like to transfer credit to Hocking College, please have an official transcript forwarded to the Hocking College Registrar for evaluation. An official transcript must be mailed directly from the college/university. All other forms of transcripts are considered unofficial. If you are transferring credits, you may choose to participate in any or all of the reading, writing or math sections of the course placement assessments. If you are not transferring credit in all three of the reading, writing and math areas of assessment, you may find taking the assessment useful in Hocking College course placement. Transfer students are expected to participate in QuickStart. You are encouraged to submit your previous college transcripts to the Hocking College Registrar for evaluation prior to your QuickStart date. If you have not yet had your transcript evaluated prior to your QuickStart date, please bring a copy of your previous college transcript with you. To make your QuickStart reservation, contact us!